through print, audio and video. that will delight both you and your child! as well as live action photographs and video clips that come to life when viewed with the ABC Animals app. Each video was specifically selected to reinforce letter names and teach toddlers and preschoolers interesting animal facts. 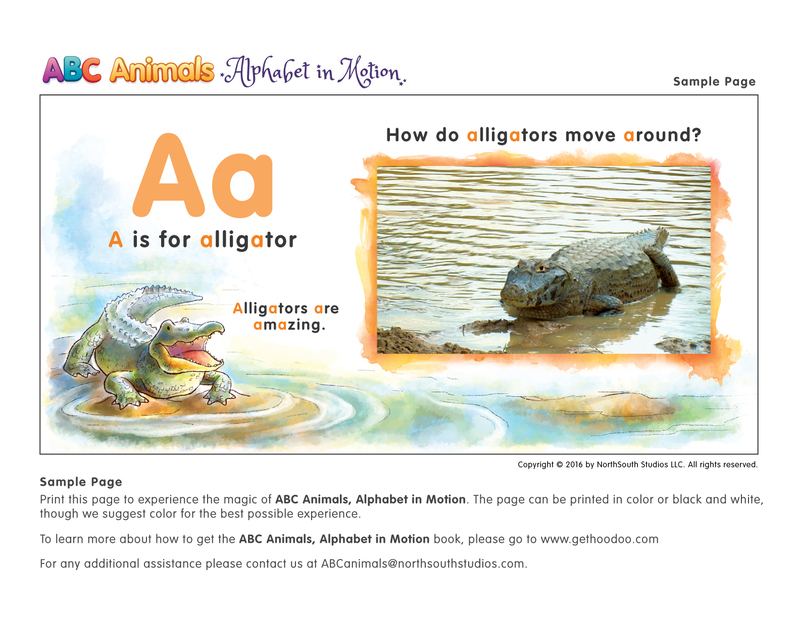 Use the free app with the beautifully illustrated ABC Animals, Alphabet in Motion book, to help your toddler or preschooler learn the letter names and discover adorable animals as the animals come alive in live-action video. The app includes a free downloadable book page so you can sample the magic! Read the book with your child, emphasize the letters, and then ask the questions related to each letter and animal. Point your device at the photographs in the book and hear and see the answers to each question as the animal photos seem to magically turn into motion video and the questions are answered.